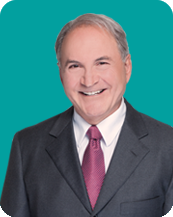 Dr. Anthony Liscio has enjoyed a 40+ year dentistry career. As Chair of the Education Core Committee of the ODA and President of the Toronto Academy of Dentistry, as well as CEO and Chairman of the Board of Western Pacific Trust Company, he has developed a broad business experience few dentists achieve. Anthony uses this combination of skills and experience to find successful solutions to clients' transition needs.